Barcelona are usually imperious at home. Lionel Messi, who by his own standards, had a relatively quiet game at Old Trafford, will be out to make amends. A handicap win for Barcelona looks to be on the cards. The odds for handicap (0:1) for Barcelona is 1.89 odds on Betway. 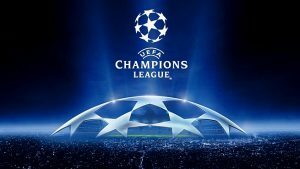 The post Champions League: Betway tips, odds for Barca vs Man United, Juventus vs Ajax appeared first on Citi Newsroom.